Can't believe that it's that time of year again! Today Ryan starts her 4th grade career and Jack starts his 2nd grade career! Hopefully there will be no surprises this year and they will finish their school year off at this school and in their same class! 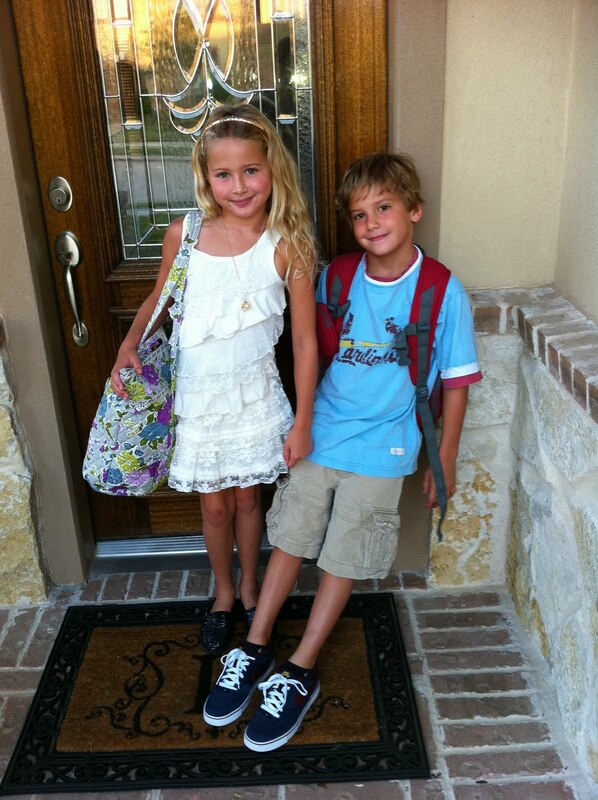 Looking good for their first day! I always think of Jack being so much older - hard to believe that there's only one grade difference between him and Vance.